Jenn Snyder, Barby Taheri, Jennifer Herrman, Jennifer Spataro. The PTA Board members each wanted to share an introduction - and let you know that you can contact any of them at any time with question / comments / suggestions (find email addresses in Contact Information section below). My name is Melanie McKenzie and this will be our 2nd year of school at Canyon Creek Elementary. I am the proud mother of four boys, including twin second graders who absolutely love our school. I am thrilled to be part of such a diverse, committed, and talented community and I look forward to supporting you and focusing on what we may build together. In 2011, our family moved from California to Washington due to my husband’s career at Boeing. We have loved every minute here in Washington and have never looked back! Bothell is our home. I am a certified public school teacher and have taught upper elementary, 4th and 5th grades. Last year, I taught 4th grade in the Lake Washington School District. In the classroom, I was energized and focused in my commitment to education, families, and our community. I have extensive classroom teaching and administrative experience. I spent two decades as a parent and educator, volunteering in several public school districts; art docent co-leading and developing curriculum in collaboration with another parent in each of my child’s classes; taught and team-lead preschool classrooms; led team-building curriculum and education programs; organized school fundraising; and Classroom Parent. I am an experienced driven educator with the time and focus to listen, and help further develop our wonderful school. On a personal note, I am an exercise buff (yoga, running, weight lifting, hiking, martial arts, OT), a travel enthusiast, gardener, and avid reader. I have coached my children’s sports teams: soccer, baseball, basketball. I am never bored and always busy! I am new to our school and PTA; I bring a fresh perspective to the school. Together we can focus on solutions that best fit our community. I welcome your communication and feedback and I look forward to meeting you. Together we can have the conversations about how to make the school more inclusive and engaging, and find a way for all parents to become involved with our school. I am available and ready to work. Thank you for this incredible opportunity to serve our student, parent and teacher community. We need you. Every voice is important and ALWAYS makes the difference. 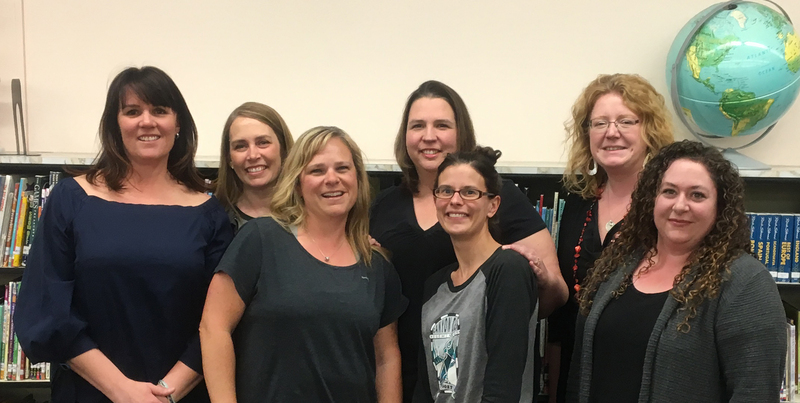 Previous roles / history in PTA: Outgoing Canyon Creek Treasurer 2016-2018, inaugural game night chair, multiple volunteer and committee positions at kids previous school & daycare. PTA role on board for 2018-2019 school year: Vice President - Programs, Game Night Chair and an eager helper/volunteer for any other events! Career: The Ambulatory Executive for UW Medical Center overseeing our 137 Clinics and the UW Medicine Executive Sponsor for Patients Are First our health systems foundation for our culture, goal setting, employee, provider, patient & family experience. Other interesting tidbits: The Herrman family moved to Bothell from Ravenna (Seattle) 3 years ago. I sure love our family and being outside. Imagine how happy I am when the two are together. I'm originally from Kenmore (Lockwood Elementary! ), we moved to Monroe when I was young and that is where my parents still reside today. My older brother and his family own Zulu's Board Game Cafe on Main Street in Bothell and live just up the street from us (a Fernwood/Skyview family). While my little sister works for Amazon and lives in Fremont. My husband, Chris, was born and raised in Wisconsin. Go Badgers! I'm a graduate of CU Boulder (Undergrad) and Wisconsin (Grad). We love sports, grilling, going on adventures and enjoying all that Bothell has to offer! I still consider us "new to the area" so please introduce yourself - we'd love to get to know you! My name is Nicole Trimble and I have a 4th grader (Jessica) and a kindergartener (Griffin) at Canyon Creek! Our family has been at Canyon Creek for 4 years now. I have volunteered in the classroom every year, and have loved spending time each year watching the classroom dynamic and seeing my daughter interact with other students and the teachers! I have also enjoyed getting to know each teacher and working with them in the classroom. For the first two years, my PTA involvement was limited to being a PTA member and donating to the potlucks and various things for PTA Staff Appreciation events! In my 3rd year at Canyon Creek I decided to help out with the PTA Newsletter (monthly at the time) and this year I kept the newsletter job but switched to weekly publication and also took over the PTA website, along with co-chairing the PTA Glow Dance! This year, since both my kids are in full day school, I decided to step up to the Vice President: Communications position and look forward to continuing to share relevant and timely information with our school families and community. Raised in Bothell, I went to Woodin Elementary, Northshore Junior High and Inglemoor High School! I graduated from WWU and got a job working in Seattle as a computer programmer (benefit administration using COBOL & Fortran!) and then became a technology project manager at Bluenile - until I had my daughter and left the working world to stay home with her (and now my son too). I enjoy the tech side of things and keeping organized - and love having a volunteer position that has deliverables and provides a sense of accomplishment on a regular basis!! I would also like to add that I am quite an introvert, but please know that I am trying to get out of my comfort zone and say hi and smile at people I don't know! If you see me, please come say HI! I would love to talk to you and hear about your experiences with the school and PTA - and what we are doing well and what we could do better!! My name is Shea Johnson and this is my 7th year of being a parent at Canyon Creek! I have two lovely daughters: Gwen who is a 9th grader at NCHS in the fall (Go Jags!) and Layla who is a 5th grader here at CC (Go Coyotes!). My husband, Devin, is a fur seal biologist for NOAA and works in Seattle. Professionally, I currently work as a NSD classified sub and often sub recess and other student assistant jobs around our school as well as a few other schools in the district. Just know, if your kiddos say “Hey Mrs. Johnson!” that’s how they know me! I love kids and working in the schools. In fact, I’m currently working on getting my teaching certification so I can teach science to the big kids eventually. I’ve been active in PTA and other volunteer efforts in the schools since 2010. I have chaired science committee, green day, been an art docent every year since my oldest was a kindy, and recently co-chaired BINGO! This will be my first year as a board member! Life before kids: I was a wildlife biologist and park ranger. I’ve lived and worked in remote areas of Alaska (lived without running water in a cabin for 5 years!) and I received my B.S. degree in Wildlife Biology from the University of Alaska Fairbanks. I went on to graduate school at Colorado State University for Natural Resource Management. I worked as a ranger and environmental educator in many great parks in Alaska, Colorado and our own Washington state! The wilderness is one of my biggest passions and sharing it with my loving family is my priority. I have been accused of being a “nature nerd” by my eldest and I fully love and embrace the title! I grew up in Olympia, so if you hear me say, “I’m headed for Oly this weekend!” you’ll know what I mean. After living all over, we’ve been back in this area since 2006. Hobbies include, hiking, biking, backpacking, gardening, birding, fishing and hanging with my sweet dog, Kona! I’m usually hanging around after school chatting it up so give me a shout and say hello! My name is Barbara Taheri better know as Barby! We’ve been lucky enough to be a part of the Canyon Creek Elementary Family for 5 years now. I have a 5th and 2nd grader and one in the wings that’ll start school in 2020! My start at school and getting involved was a gradual one. I started off leading reading groups and helping out in the classroom but wanted to help more and found that we have an amazing PTA that supports a multitude of experiences for all of our children and it’s leaders were willing to mentor and guide me. At first the task seemed daunting if I’m being honest but I said sign me up and I’m so glad I did. I was grateful to be the committee chair for the back to school ice cream social for two years, along with dads and donuts, and skate night, financial reviews, and awards! I’m a helper and a worker bee so I love volunteering for STEM nights, hour of code, as an art Docent, the art gala, and Bingo (which I eventually chaired as well)! There is no shortage of fun family filled community events that I don’t love participating in and supporting to reach every child in our school! I’ve also been lucky enough to be Canyon Creek PTA’s VP of Programs for the last two years and have taken on the role of treasurer this school year. Outside of school I’m a Girl Scout troop leader and your stereotypical mom that has kids in sports and constantly running around as we all are with the multitude of things our kids are interested in! I’m currently writing legislative issues and resolutions to support all children state wide because my passion is helping those that otherwise have no voice. I’m constantly learning and growing to change and adapt to reach every community within our school and outside of it. I love feedback and new ideas and love supporting others in finding their passion when it relates to helping every child! If anyone ever feels lost, or disconnected please contact me, I always want everyone to feel welcomed and encouraged to participate in anyway they are able for the betterment of our school and all of our children! I’m looking forward to seeing all the new families that will be a part of this great school community and the families that have been here for years! My name is Jennifer Spataro and I am a mom to three kids in the Northshore School District. I have twins, Andrew and Adrienne, who are in 4th grade at Canyon Creek. Olivia, my older daughter, is a 9th grader at North Creek High School. We couldn’t be happier with the education NSD has provided and are excited to begin our 5th amazing school year at Canyon Creek! After an unusually busy few years, I now have time to give a little more to the school. I am joining the Board as Legislative Chair. I also intend to help where I can at North Creek. I have previously volunteered at school activities and in the classrooms and look forward to more opportunities. In addition, I have volunteered with events at Springs Preserve in Las Vegas, Bellevue Arts Museum, and Kirkland Arts Center. I also spent two years on our neighborhood HOA board. I’m self employed and feel very lucky to be able to work from home. I am also a ceramic artist and mostly create functional wheel thrown pottery such as bowls, planters, vases, and other vessels. Originally from San Francisco and down the Peninsula, my family spent a few very hot and dry years in Las Vegas before deciding to call Bothell home in 2012. My husband of 19 years and I love exploring this beautiful area with our kids. Though not particularly outdoorsy, we truly enjoy the water and snow up here in the Pacific Northwest. When I have some quiet time, I love to read. For me, a sunny day at the beach or a rainy day drinking coffee is always better with a book! Hi! I’m Jennifer (Jenn) Snyder and this fall will be my 10th year as a parent at Canyon Creek. I have 4 more years before my youngest goes off to middle school. Over the past 10 years I have seen many changes at Canyon Creek. The one constant has been how much we love being a part of the Canyon Creek family. My three children are attending schools in the Northshore School District. My eldest son, Stephen, is a 9th grader dually enrolled at Northshore Networks and North Creek High School. My son, Jayden, is a middle schooler at Skyview, and my youngest daughter, Mikaela, is a 2nd grader here at Canyon Creek. I can now say I have one in high school, one in middle school, and one in elementary school. When my daughter started Kindergarten, I was able to become more involved in PTA. I served as Canyon Creek’s Legislative Chair for 2 years. In addition to being Legislative Chair at both Canyon Creek and Skyview, I have served on the Nominating Committee, as Summer Fun Playdate Chair, and with Membership. I have taken off my hat as Canyon Creek’s Legislative Chair and am excited to wear the Membership Chair hat. Prior to becoming a stay at home mom, I worked in the field of social services. My passion has always been helping others which makes PTA a good fit for me. My husband and I have called Bothell home for the last 12 years. Before moving to Bothell, we lived in Southern California where I was born and raised. If you ever have any questions or just want to say hi, please don’t hesitate to reach out.